Turkey’s renewable energy market has been expanding and developing since the Renewable Energy Law was enacted in 2005, which marked a huge step towards meeting the country’s growing demand for energy. In the years since, a series of new regulations have demonstrated Turkish interest in making its renewables market a priority in the national energy agenda. In October 2016, a regulation on renewable energy zones (REZs) was introduced. This allowed structured investments in green power sources, supported by an incentive scheme for licensed renewable energy generation. The regulation could not have come at a more vital time, both in terms of environmental protection and the country’s renewable energy targets. 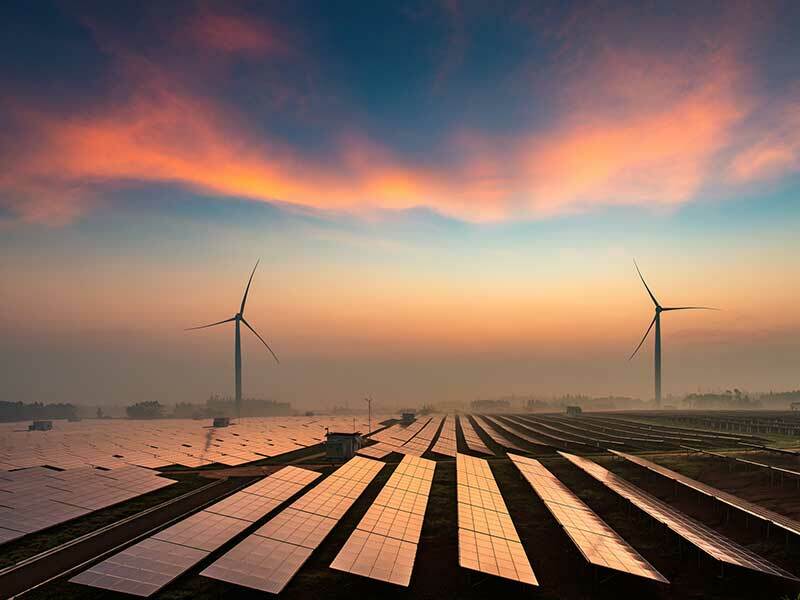 According to a recent strategy paper by the Turkish Ministry of Energy and Natural Resources (MENRA), the state aims to increase wind generation to 10,000 MW and solar generation to 3,000 MW by 2019. If these targets are met, wind capacity will be doubled and solar capacity increased fourfold, compared with 2016 figures. Furthermore, an independent market study by KPMG showed power generation in Turkey totalled 270 million MWh in 2016, including both licensed and unlicensed generation. Total consumption, by comparison, has been recorded as 274 billion kWh, with an increase of 2.1 percent. Under the regulation, REZs may be developed on public or private land. The regulation empowers MENRA to identify suitable areas by taking into account a set of criteria, including the type of power to be generated, generation potential, unit electricity costs and connection capacity. Once a site is chosen, an announcement of tender for right of use in the identified REZ is published in the Official Gazette, as well as on the MENRA website. The eligibility criteria for investors interested in applying for tender in an REZ include the requirement to either manufacture certain equipment (as decided by MENRA) locally, or to commit to using locally manufactured equipment. In either case, the equipment must conform to conditions set out by the electricity licensing regulation. The tender for each REZ is held as a reverse auction, starting from the maximum electricity purchase price set by MENRA per kilowatt-hour. The participant offering the lowest price is invited to execute a right-of-use agreement. Consortiums are permitted to participate in the tender. It is a requirement, however, that a joint venture company with the same shareholding structure as submitted in the tender application is incorporated in order to sign the right-of-use agreement. Additionally, the REZ regulation makes it mandatory for investors to acquire a pre-licence in order to engage in electricity generation activities within a REZ. The term of the pre-licence must not exceed 24 months, except in cases where unforeseen circumstances render this impossible. This pre-licence is an essential requirement for the right-of-use agreement to be effective. Under the REZ regulation, the pre-licence holder must comply with existing legal requirements for allocations made in consideration of domestic production and the use of domestic goods. Essentially this means that, in order to qualify for a generation licence, strict compliance is required on the part of the pre-licence holder in construction of the manufacturing plant and the generation facility under the tender specifications. The licence is granted for a maximum of 30 years. Upon expiry of the licence term, the generation facility will be subject to general regulation under the electricity licence regulation, and will be placed under the administration of whichever institution the right-of-use agreement was executed with. The electricity generated by these means must be sold during the term agreed in the tender specifications and at the price set in the right-of-use agreement. Additionally, the agreement will remain subject to further regulation throughout the term. The agreed term for the sale and purchase of electricity in the tender specifications begins once the right-of-use agreement is executed. From a practical standpoint, REZs are expected to overcome the existing financing difficulties facing renewable energy projects, which tend to depend on high volumes of external investment from lenders. The guaranteed purchase system is aimed at incentivising investment by providing a predictable cash flow over a predictable time period – i.e. the operational life of the facility – while substantially reducing the risk of capital loss, which will attract investors in the coming days ahead.